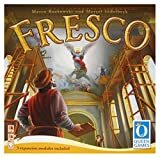 Fresco is a worker placement family game where you are a master painter restoring a fresco in a Renaissance cathedral. The ceiling in the cathedral is in an urgent need of restoration and the bishop asked painters to repair it before some important visitors arrive. You start with 5 workers and you have to plan your day cleverly. You must decide what time to wake up. Waking up earlier will put you earlier in the turn order, but decrease the mood of the apprentices and they will work less efficient. You also must decide your actions for the turn: buy paint, mix paint, paint the fresco, raise money by painting portraits or increase the happiness of the apprentices. The game ends when the fresco is nearly completed and the player with most victory points is the winner. 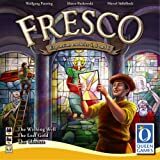 Fresco has a modular structure giving the players the opportunity to decide how ambitious they want to play. The game board is two-sided and is different for 3 or 4 players. 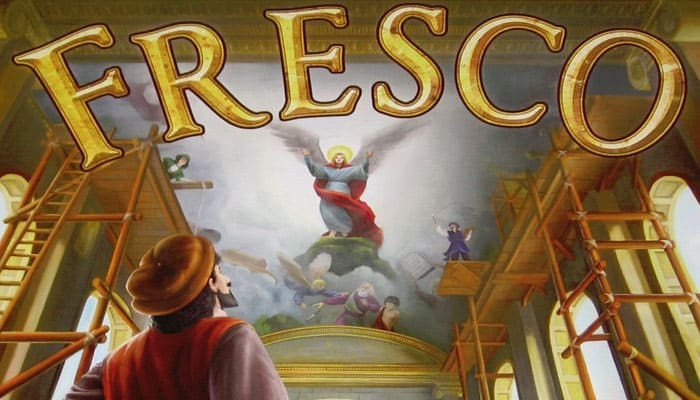 The players find themselves in the roles of fresco painters and by order of the bishop have to restore the large painting at the cathedral's ceiling.